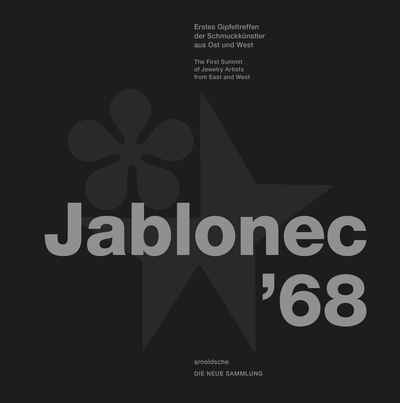 Jablonec '68: The First Summit of Jewelry Artists from East and West edited by Angelika Nollert, The Design Museum . edited by Angelika Nollert, The Design Museum . The 1st International Silver Jewelry Symposium brought seventeen artists from East and West together in the then Czechoslovak town of Jablonec nad Nisou— including Anton Cepka, Bruno Martinazzi, Elisabeth Kodré-Defner and Helfried Kodré, Jaroslav Kodejš, Josef Symon, and Hermann Jünger, who today are regarded as the founders of studio jewelry. This publication celebrates the fifty-year anniversary of the symposium as a milestone in the history of studio jewelry and the beginning of an unprecedented international network. Alongside illuminating articles it contains the personal travel diary of Othmar Zschaler as well as a reprint of the limited edition 1968 exhibition catalogue.